Matt D'Avella is not only a minimalist, he directed the award-winning Netflix documentary Minimalism. In this video, he shows you how he packs. 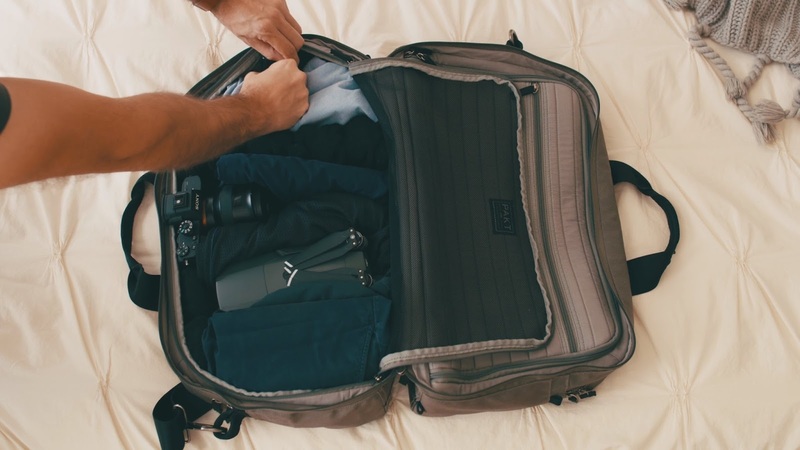 He is a filmmaker, so nearly every vacation, he will include not only his clothes, also a full frame camera and his drone in this compact travel bag.